If you are looking for a fun way to paint your nails for Easter, these cute Easter egg nails are a great place to start. The tutorial will show you how to make colorful Easter eggs with just a few easy steps. You might need to buy a few more colors of nail polish, but what girl doesn't love an excuse to buy new nail polish. If you have teenage girls, you could swap this out for the traditional Easter egg decorating. 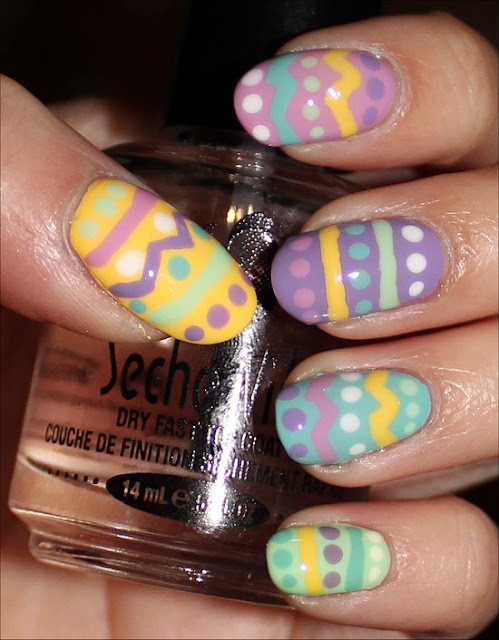 You can check out this Easter egg fingernail tutorial over at Swatch and Learn.